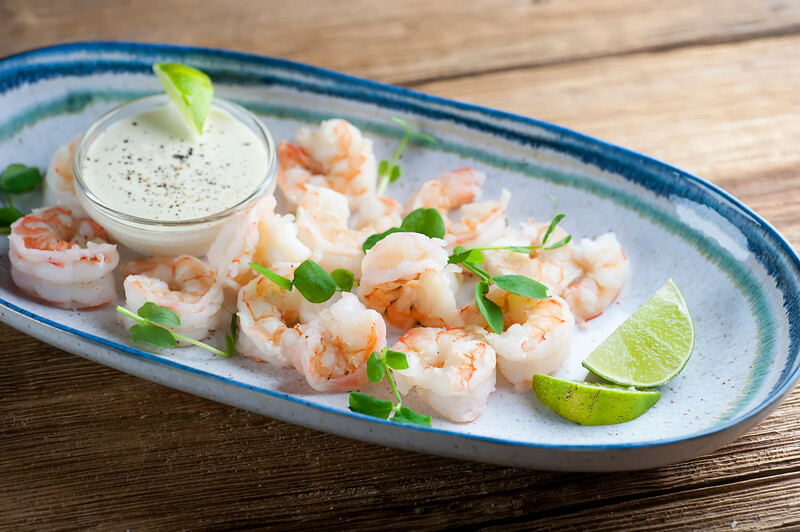 Shrimp get even better with this tart and scrumptious lime dipping sauce! Whip up this easy shrimp with lime dipping sauce appetizer for your next party….or you might want to just make it for yourself and call it dinner! I do love my shrimp recipes. From shrimp with beer (basic) to shrimp scampi ravioli (schmancy) to my millions of variations on shrimp and grits (necessary for life with the Southern husband), there’s a reason that we buy shrimp in bulk. But sometimes just regular old shrimp cooked up with Old Bay seasoning and a little lime juice is just plain perfect. Especially if you have a small bowl of tart and creamy lime dipping sauce to dunk them into! The secret to really delectable shrimp no matter how you are cooking them is not to overcook them. We want them tender and flavorable and not the least bit rubbery, and until you are used to this, it’s going to take some bravery on your part. As in, leave them in the simmering water for no more than 3 minutes. I promise they will be done. And since you will have flavored up that water with a generous spoonful of Old Bay and some generous squeezings of fresh lime juice, they will not only be done, they will be perfect. While the shrimp are cooling, mix up this quick and easy dipping sauce: a little mayo, a little Dijon mustard, a little lime juice and a little brown sugar. Stir it up until everything is nice and smooth – I sometimes use my little teeny food processor to do this if I am feeling especially lazy. Click here to see the one I have been using for ages, for everything from chopping garlic to making delicious lime dipping sauce. Now all that is left to do is, well, start dunking. This makes a lovely late summer appetizer, and if you add a glass of wine, you might just fine that you don’t even need to make dinner! Add Old Bay and lime juice to a pot of water and bring to a low boil. Add the shrimp and simmer for 3 minutes. Drain and cool. Mix all the sauce ingredients together thoroughly. Transfer to a small bowl. 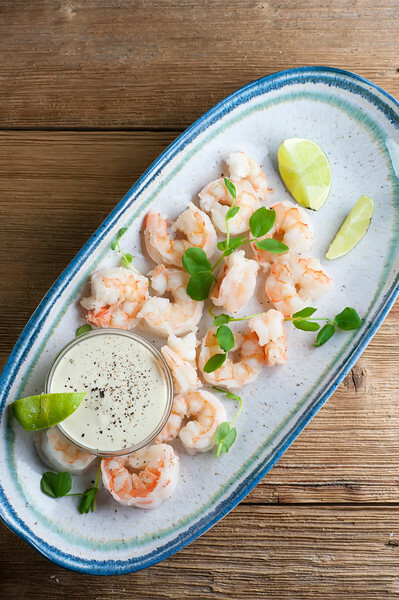 Arrange the shrimp on a platter around the bowl, and serve with extra lime wedges. This looks like a delicious treat, as shrimp has been on my mind for awhile. Maybe tonight! Thanks, Kate. Shrimp ALWAYS seem to be on my mind! :) Hope you love these ones as much as we do. I think everyone loves shrimp like this…especially as an appetizer at a party. This nice thing is that it is so easy to put together.